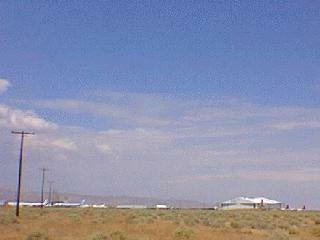 Mojave, in Kern County, California, United States. 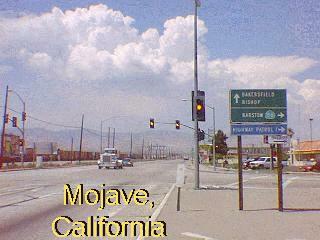 Mojave is located 50 miles (80 km) east of Bakersfield, at an elevation of 2762 feet (842 m). 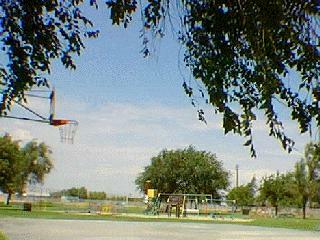 The population was 3,836 at the 2000 census. 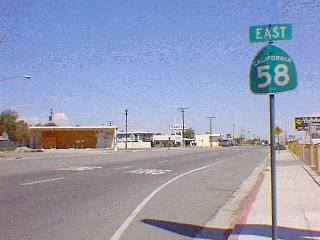 The town is located at the northwestern corner of the Mojave Desert, below the Oak Creek Pass. 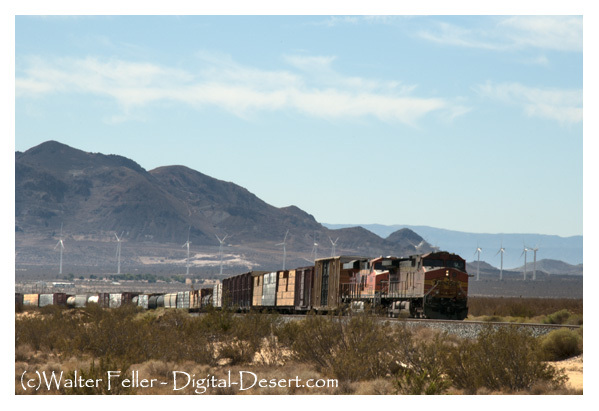 Mojave began in 1876 as a construction camp on the Southern Pacific Railroad. From 1884 to 1889, the town was the western terminus of the 165-mile (266 km), twenty-mule team borax wagon route originating at Harmony Borax Works in Death Valley. Gold was discovered in 1894 on Soledad Mountain. Later on mines with colorful names like Elephant-Eagle, Asher, Yellow Dog and Golden Queen began to emerge. 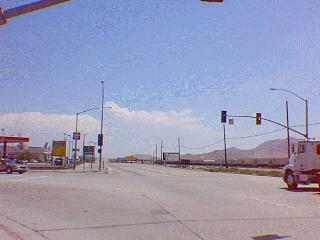 Mojave provided hospitality to travelers, begining with the opening of the Morrissey Hotel in 1876. In the old two-story railroad depot, the Fred Harvey organization operated a "Harvey House", complete with "Harvey Girls" serving meals to weary travelers and miners. In 1908 cement production for the Los Angeles Aqueduct began. The community became headquarters for construction operations. 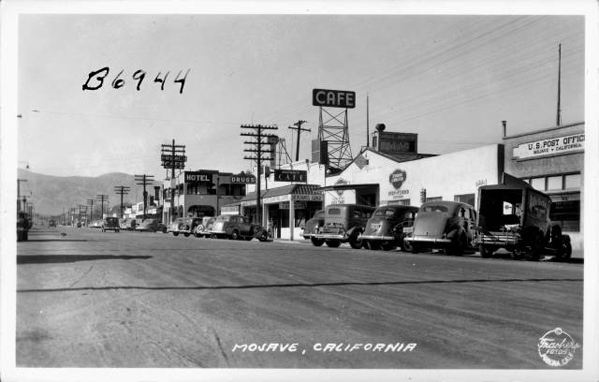 The name Mojave comes from the name of the Mohave Indian nation influencing the desert area before the arrival of European settlers.